Shown in White Heavy Distressed painted finish. Handcrafted from solid premium mahogany. This design is available in 50 different colors, and you may specify light or heavy distressing. Finish colors applied to lamp base and artwork created on lamp shade. Custom is our specialty. Click on the buttons below to see color and art options. 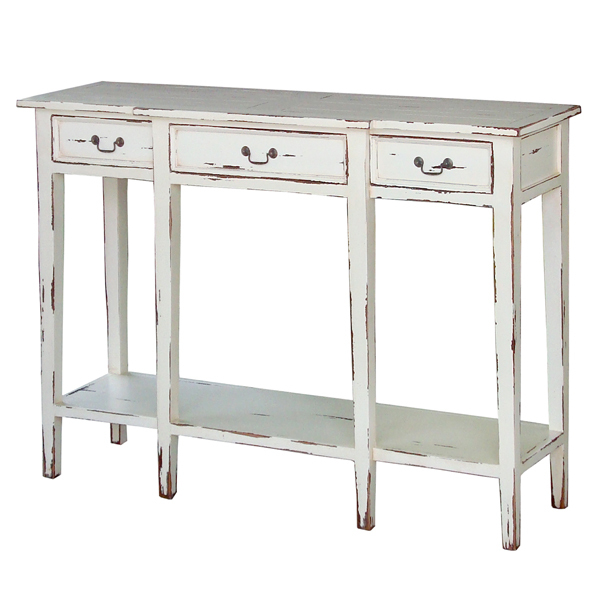 Three drawer console table features large shelf below for storage. 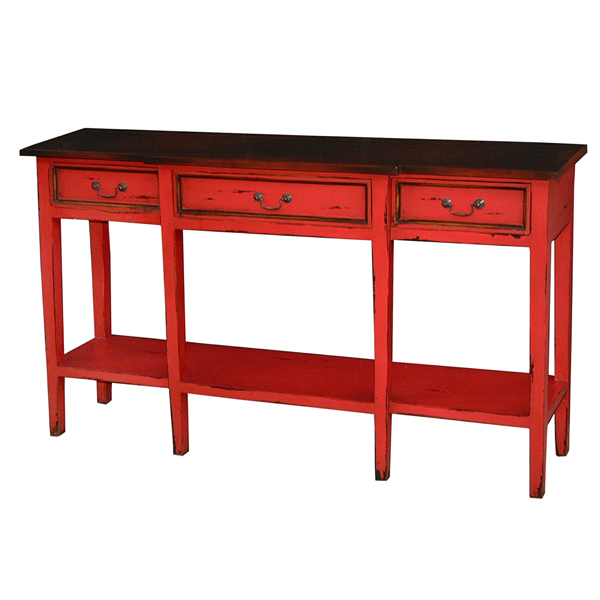 Shown in Red Heavy Distressed finish and Aged Honey wood stain on the top and accents. An eight inch taller version is also available, see below. Handcrafted from solid premium mahogany.